On 20 December 2017 shortly after 10 am, the coral encrusted bow and forward hydroplanes of AE1 appeared on the display, relaying images from a video camera suspended from the search vessel Fugro Equator, hovering more than 300 metres above. The resting place of the 35 British, Australian and New Zealand crewmembers had been found, 103 years after the loss of the Royal Australian Navy submarine. My earlier article, ‘What happened to HMAS AE1?’, set out the background to the acquisition of Australia’s first submarines, HMAS AE1 and AE2, including the circumstances leading up to AE1’s loss. 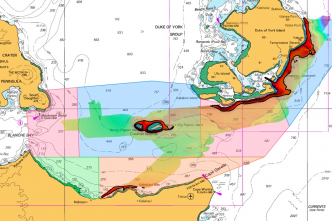 A multi-beam echo sounder search off the Duke of York Islands in November 2015 had cleared the inshore waters down to 200 metres with a very high level of confidence that if AE1 had been there, it would have been found. The absence of the wreck weighed heavily against our preferred scenario for the loss: if the submarine had been lost following a grounding on the fringing reefs, then we would have expected to find her nearby. We returned to the original research material with a critical eye and presented our findings to a workshop held at the Australian National Maritime Museum (ANMM) in December 2016. The workshop strengthened our conviction and focus on the few ‘facts’ in what was otherwise a series of negative clues. The last known position given by AE1’s consort, HMAS Parramatta, was actually a rendezvous—it should therefore be adjusted to a whole number of minutes of latitude and longitude to facilitate its transmission. 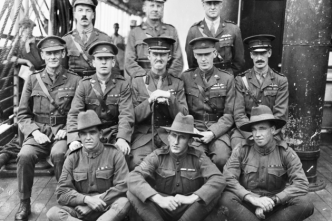 The rendezvous took place at 2.30 pm, as reported by Parramatta, not 3.30 pm as referenced in signals on the evening of the loss. AE1 would have been trying very hard to get back to Rabaul by dark, as personally directed by the fleet commander on sailing that fateful morning. Assuming AE1 departed the rendezvous shortly after 2.30 pm, then there was sufficient time to undertake a practice dive. Why bother to dive? 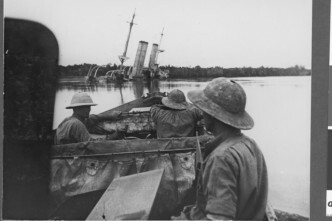 The reality was that the crew had very little dived experience, prior to hurriedly undocking and preparing for war, before heading north on 8 August to join the Australian fleet bound for Rabaul. Our preferred scenario shifted to a diving accident en route to Rabaul: we needed to search the deeper waters. The Defence Science and Technology Group undertook a series of mathematical probability analyses and those results were used to set out a search area. Acting pro bono, IXBlue Australia prepared a plan for a towed side scan sonar, sub bottom profiler sonar and magnetometer search that was costed at $2.4 million. A major breakthrough occurred when John Mullen, CEO and founder of the Silentworld Foundation, offered to obtain sponsors to meet half this cost. Subsequently, the Australian government agreed to meet the other half. In parallel with this approval, the survey company Fugro advised that it had a suitably equipped ship operating in Papua New Guinea waters. A fixed-price contract to comprehensively search the area ensued. Fugro provided favourable terms, including carrying the risk of any extension due to miscalculation of the task, weather delays or equipment defects. It offered the superior, state-of-the-art technology provided by an autonomous underwater vehicle (AUV), deployed from a specialised search vessel, by a highly experienced survey crew. Timing was tight to exploit the ship’s availability. Once again, John Mullen’s support proved critical, with him providing a personal guarantee to enable a contract to be concluded prior to Find AE1 Ltd having their $500,000 share in the bank. The Silentworld Foundation, in association with the Australian National Maritime Foundation, undertook the fundraising, gaining the support of organisations and a number of private sponsors (recognised on their website). Fugro Equator launched the first AUV mission on the evening of 18 December. Examination of the data gathered after recovery on the following evening revealed that its sonars had detected a contact with similar dimensions to AE1 within two hours of starting its search. The AUV was diverted from its next programmed search to examine the contact more closely. The results added sufficient confidence to suspend the search on the morning of 20 December to examine the contact using a drop camera with lighting, a colour video camera and a colour stills camera. 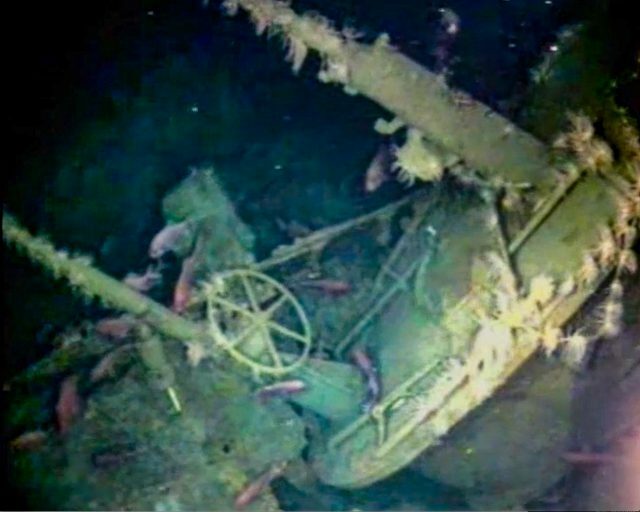 The wreck site was examined for several hours using the drop camera. This was followed by an AUV survey using its fitted black-and-white still camera to obtain over 6,000 shots. These were skilfully merged by Fugro to provide a mosaic overview of the wreck. Explanations as to why AE1 was lost must be qualified at this stage. Resolving what led to the loss is made more difficult by the damage incurred by the submarine’s hull during the sinking process, possible post-sinking events and corrosion due to the march of time. AE1 was probably already submerged or in the process of diving when the accident occurred. The wreck’s position is consistent with a course to return to Rabaul. It appears that, for reasons we don’t know, the submarine experienced a depth excursion and exceeded its crush depth, leading to the implosion of the hull in the control room area and over the forward torpedo compartment, killing the crew instantly. The flooded submarine would have sunk rapidly to the bottom and probably landed on its keel, with a moderate bow down angle since the bow torpedo tube is relatively intact. We believe that a follow-up non-invasive survey of the site should be conducted as soon as possible to comprehensively document AE1’s exterior hull. This would provide a baseline survey of the wreck site, contribute to an understanding of its loss, assist in determining a strategy for its long-term management and enable the ANMM to tell AE1’s story to a wide audience. Good luck? Yes, but we were looking in the right place, with the right technology operated by a very competent team, backed by the Commonwealth government, Royal Australian Navy, John Mullen, Silentworld Foundation and its sponsors, the ANMM, Submarine Institute of Australia and Fugro. These were the keys to finding the men of AE1. Peter Briggs is a retired submarine specialist and a past president of the Submarine Institute of Australia. 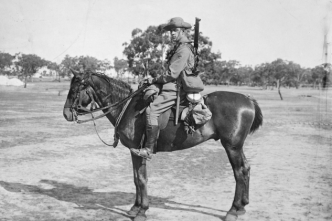 Image courtesy of Department of Defence. What happened to HMAS AE1?